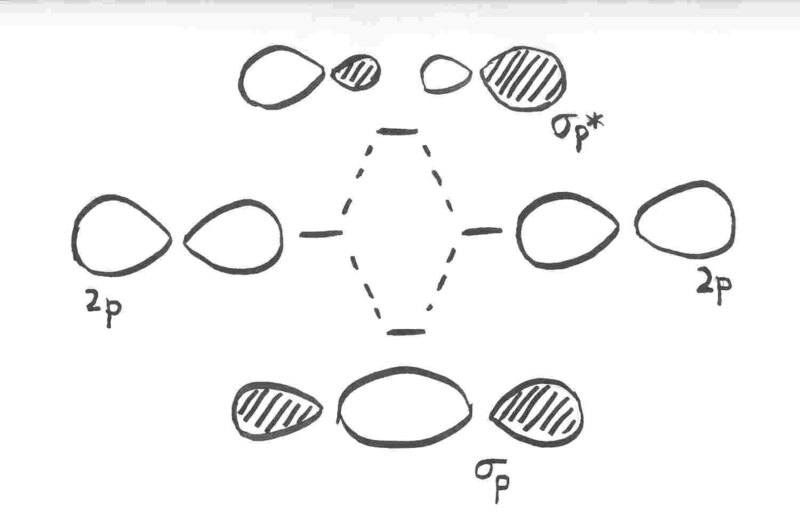 Parallel, but not collinear, p orbitals can also interact with each other. 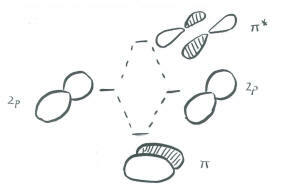 They would approach each other side by side, above and below the bond axis between the two atoms. They can be close enough to each other to overlap, although they do not overlap as strongly as orbitals lying along the bond axis. 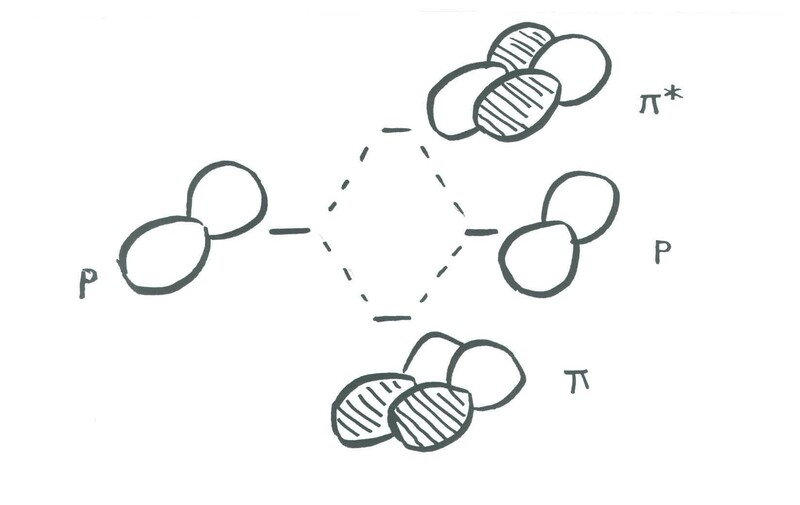 They can make an in-phase combination, as shown below. They could also make an out-of-phase combination, as shown below. 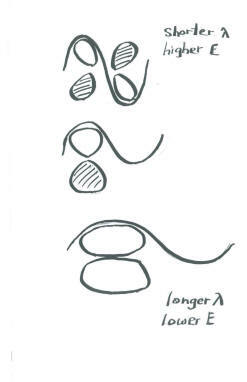 The illustration above is for one set of p orbitals that are orthogonal to the bond axis. The second picture shows the result of the constructive (or destructive) interference. 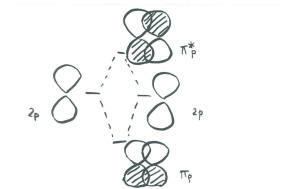 A similar picture could be shown for the other set of p orbitals. When the 1s orbitals of two hydrogen atoms combine to form a hydrogen molecule, which molecular orbitals are formed? 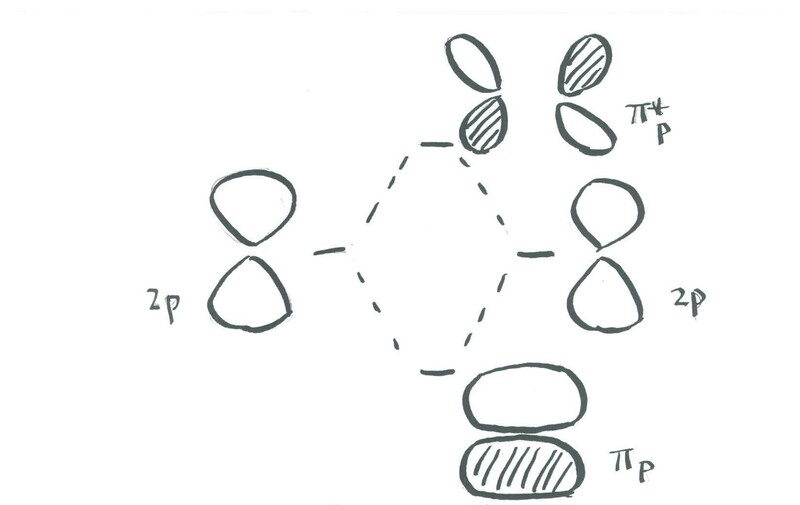 In-phase combinations of atomic orbitals give ______________ orbitals. Out-of-phase combinations of atomic orbitals give ______________ orbitals. The combinations of ______________ atomic orbitals leads to σ orbitals. The combinations of ______________ atomic orbitals leads to π orbitals. Which molecular orbital is typically the highest in energy? Why can 1s orbital not interact with a 2s orbital? Hint: Why is a Li2O bond stronger than a K2O bond? 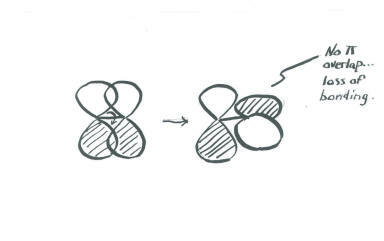 Add a few words to explain the ideas conveyed in these drawings.